Here's one from Ravi. Never the most ingenious of music directors, and more often than not I find his scores a bit dull; this soundtrack is however an exception. 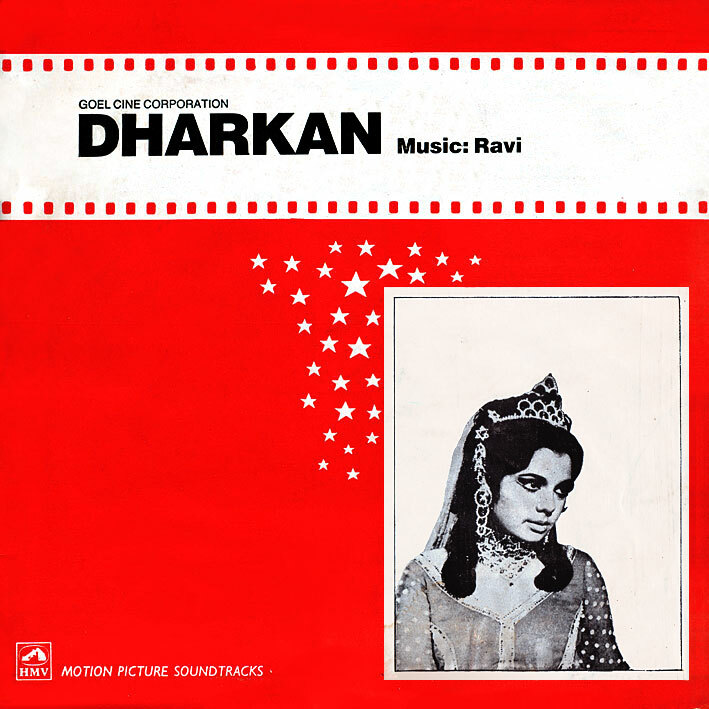 'Dharkan' boasts a delightfully wistful lounge track ('Pee Meri Ankhon Se'), a rockin' cabaret number ('Jab Tu Ne Kuchh Na Kiya') much in the vein of Shankar Jaikishan or even early RD Burman, chirpy and catchy accordion pop ('Main To Chala'), and finally a bit of over-the-top lunacy ('Tumse Nazar Mili') in which shoe polish and a soft drink is given praise. So check it out. The song Tumse Nazar Mili is a take-off on some of the radio ads we used to get during that time. Ah, thus the faux product endorsements then. Thanks for the info Sunny. WooHooooo!!!! PC is back and how! Dharkan and the forthcoming releases are mouth watering to say the least! Thanx for being there in our lives PC! God Bless!